Don’t forget if you are stuck for something to do, the Japanese version of the ring is on at 6pm at the Tyneside cinema tonight! Returning to Sunderland for it’s second year SunnyCon looks to take over the city once again, a must for anyone in the region interested in Anime, Manga or Japan in general. “After the roaring success from last year’s SunnyCon, on Saturday & Sunday 23rd-24th March 2013 we will be back and bigger than ever hosting SunnyCon2. Our guest list so far includes Vic Mignogna, Ginny McQueen & Colleen Clinkenbeard. Over the two days there will be new and exciting demonstrations, panels, Martials arts, shows & more as well as retail stalls, artist stands & a gaming area. We will have some delicious Japanese cuisine, so go on spoil yourself! Keep an eye on the events page to see what will be happening. The event will be taking place in the Seaburn Centre situated on Sunderland’s coast line. Nearby we have a large Morrison’s supermarket. The event is from 9am for V.I.P ticket holders and from 10am for everyone else until 6pm. Keep it here and on our social networks for the latest updates including guests, events and other convention announcements. Over the weekend Geordie Japan hit 7000 views, now perhaps in website terms that’s not that much, but for a niche blog that’s only been online since March I’m pretty damn proud of that figure. I’m hoping for big things for the blog and beyond and hopefully the number 7 will bring us some luck with this, why? Well seven is considered a lucky number in Japan (and other parts of Asia too) but what’s so special about seven? 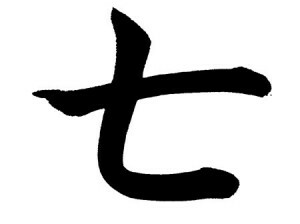 7, or 七 (pronounced “nana” or “shichi”) in Japanese, is deeply ingrained into Japanese culture. In the Buddhist religion when one becomes a ‘stream winner’ they can be reborn a maximum of seven times before reaching nibbana. There are also regarded to be seven Buddhist treasures. This religious association with the number seems to be the origin point in Japanese culture for the importance of the figure of seven. Daikokuten – god of wealth, commerce and trade. Of the group only Ebisu is known to be Japanese, Hotei, Jurōjin and Fukurokuju are from China while Bishamonten, Benzaiten and Daikokuten are from India. 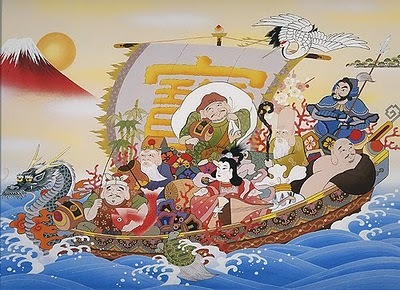 The seven lucky gods are often depicted sailing on a treasure ship, the Takarabune (宝船), and will sail into port on New Year and distribute gifts and wealth to those deemed worthy, Children will often be given red envelopes with the image of the Takarabune on it containing money around this time. Children are also encouraged to put either a picture of the seven gods or the Baku (a mythical being that devours nightmares) under their pillow on the evening of January 1st. If you have a dream that night where you are blessed with good fortune in life then you will be lucky for the year, provided you do not tell anyone. On the other hand if you have an unlucky dream then you must prey to the Baku spirit and set the picture adrift in the nearest river or ocean. On January seventh it is traditional to eat nanakusa-gayu (seven herb rice porridge) which is packed full of good vitamins to help you recover from your New Year over celebrations, it is also thought to prevent illness for the year. 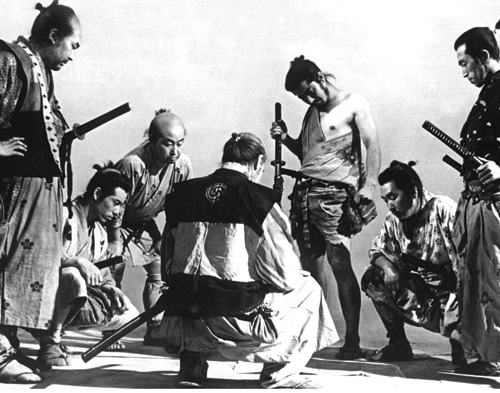 Further reading on the seven lucky gods can be found here. 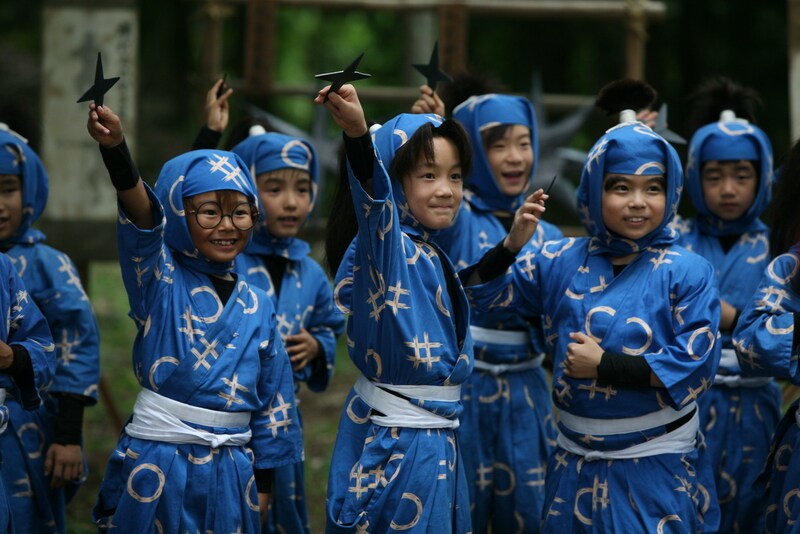 The number seven has also ingrained itself into both the celebration of life and the mourning of death in Japan. After a baby is born its birth is celebrated on its seventh day of life, conversely after someone’s death there is seven days of mourning, then they are mourned once again seven weeks after the death. Other life monuments are often marked alongside the number seven somehow, such as in the 7-5-3 festival which held on the 15th November where children aged seven, three and five visit their local Shinto shrines and are blessed. Girls aged 3 and boys aged 5 are formally welcomed into the community at this event and Girls aged seven are allowed from this day to wear the decorative obi sash with their kimono as they have now entered womanhood. The Tanabata (七夕) star festival is held on the seventh day of the seventh month, again luck is once again associated with this as it is traditional to write your wishes down and hang them from a specially erected bamboo tree. So from this deep rooted concept of the lucky number seven it’s no surprise to find that the number is prevalent in Japanese popular culture. 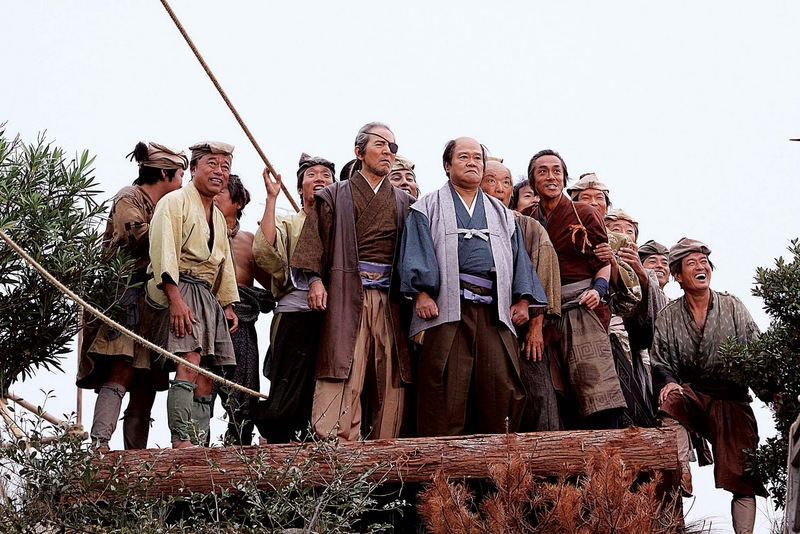 Such as in Akira Kurosawa’s legendary Seven Samurai (七人の侍) in which seven warriors attempt to defend a village, the film was later remade in the West as The Magnificent Seven. There is also a Japanese manga named Nana (Japanese for 7) in which two girls, both named Nana, come together coincidentally and share an apartment together, the apartment is number 707 of course. There are many references to the number seven in the manga, and later the anime and live action film versions. There is a television drama named lucky seven and even AKB48 have a song named for the number. 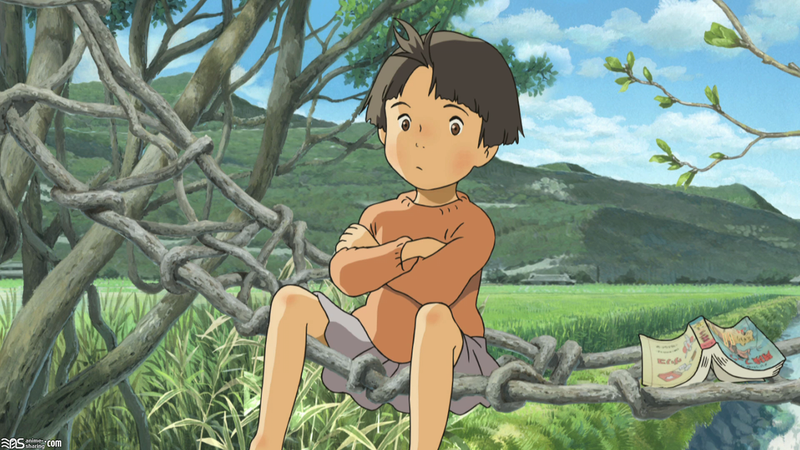 Overall Japanese films, television programs, songs, manga, video games and every aspect of popular culture often somehow includes a reference to seven. Nana korobi ya oki (七転び八起き) which literally means “seven falls, eight getting up”, an encouraging phrase which reminds us that after life goes down it always comes back up again. And lastly a question, have you ever wondered why the highest concentration of 7-11 brand supermarkets in the world is in Japan? Here at Geordie Japan we are always looking for ways to make it easier for you to visit Japanese establishments and events in and around Newcastle. So after a bit of testing and hard work we are proud to announce the Geordie Japan interactive map! You can click here to see the map or the link will always appear on the right hand side of this page. So far there are 30 markers on there covering 5 different categories 1) Asian Supermarkets 2) Japanese Restaurants* 3) Specialised Japanese Stores 4) Japanese Cinema 5) Japanese Attractions and History. *Sometimes this is a bit of a grey area, I have included on this first version of the map explicitly Japanese restaurants and Asian fusion restaurants with a large Japanese menu selection. But here’s what we want from you! Firstly feedback on the map itself, but also on additional venues that we may have missed (the map is very much a work in progress) or in the future, venues that have opened or closed. Are there any other categories you would like to see on there? Would you like to see all the Asian restaurants in Newcastle included on the map? Please let us know by either leaving a comment here or tweeting us! So we hope you enjoy it and find it useful!